Ionic defects, such as oxygen vacancies, play a crucial role in the magnetic and electronic states of transition metal oxides. Control of oxygen vacancy is beneficial to the technological applications, such as catalysis and energy conversion. Here, we investigate the electronic structure of SrCoO3−x as a function of oxygen content (x). We found that the hybridization extent between Co 3d and O 2p increased with the reduction of oxygen vacancies. The valence band maximum of SrCoO2.5+δ has a typical O 2p characteristic. With further increasing oxygen content, the Co ions transform from a high spin Co3+ to an intermediate spin Co4+, resulting in a transition of SrCoO3−x from insulator to metal. Our results on the electronic structure evolution with the oxygen vacancies in SrCoO3−x not only illustrate a spin state transition of Co ions, but also indicate a perspective application in catalysis and energy field. Jiali Zhao is a PhD candidate in the Institute of High Energy Physics, CAS. Her current research interest focuses on the electronic structure and physical properties of perovskite complex oxides films. Kurash Ibrahim received his PhD degree in 1992 from the University of Liege, Belgium, worked as a postdoc fellow in the Institute of High Energy Physics, CAS (1993–1994), and has been a staff member since then. He worked as a visiting researcher in Lawrence Berkeley National Laboratory, USA (2002), KEK and HiSOR, Japan (2003); Department of Physics, University of Montana State, USA (2004–2006). His research interest is on the application synchrotron radiation to electronic structure investigation of condensed matter systems. Haizhong Guo received his PhD degree in condensed matter physics from the Institute of Physics, CAS in 2005. From 2005 to 2009, he worked as a postdoc in the University of Alabama, University of California at Davis, and Louisiana State University. He had been an associate professor in the Institute of Physics, CAS (2009–2017). He joined Zhengzhou University as a professor in 2017. His research interest focuses on the novel physical phenomena emerging in the low-dimension transition-metal oxide heterostructures. 离子缺陷, 比如氧空位, 在过渡金属氧化物的磁性和电子结构中起着至关重要的作用. 对氧空位进行调控广泛应用于催化和能量转换领域. 我们研究了SrCoO3−x的电子结构与氧含量x的关系, 发现随着氧空位含量的减少, Co 3d和O 2p之间的杂化增强. SrCoO2.5+δ的价带顶具有明显的O 2p特征. 随着氧含量的进一步增加, Co离子从高自旋的Co3+变成了中自旋的Co4+, 实现了绝缘体到金属的转变. 关于SrCoO3−x中氧空位引起电子结构演变的研究不仅展示了Co离子自旋的转变, 同时也为其在催化和能源领域的应用提供了理论支持. This work was supported by the National Key R&D program of China (2016YFA0401002) and the National Natural Science Foundation of China (11574365, 11474349 and 11375228). 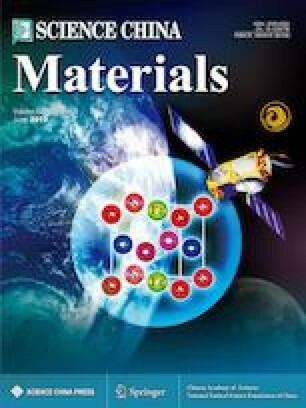 The authors would like to thank BL14B1 beam line of Shanghai Synchrotron Radiation Facility for technique support.